In 2009 Shepard Fairey had an exhibit at the Andy Warhol Museum on the North Side. Known originally for being a street artist, he posted artwork all around the city prior to the opening of the show. This was one of them. These wheat-paste pieces were never meant to last forever and many of them are in very poor condition now. As of 2015 this particular one was still in fairly good condition. It's the only one we found from that exhibit that was not a mix of multiple images. 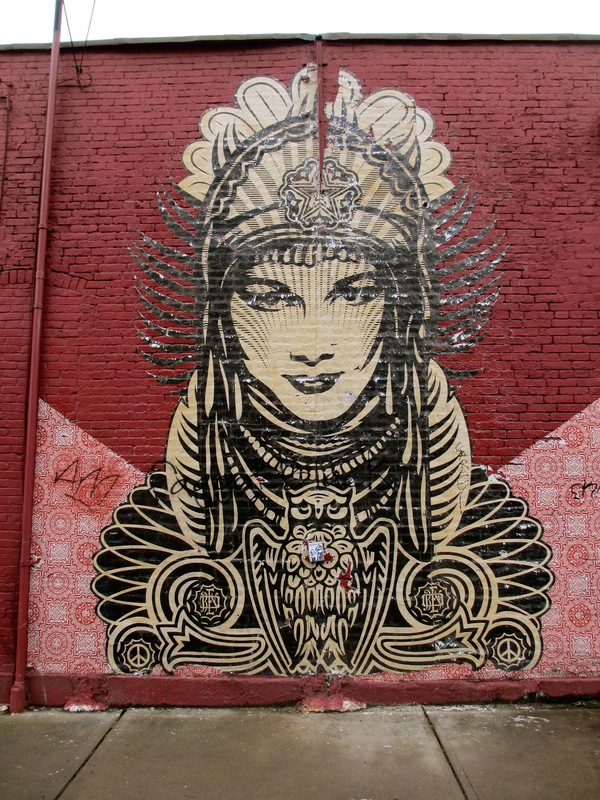 Here there are really only two of Shepard Fairey's patterns and Peace Goddess Burgundy dominates it.